What has struck me most about Martin Edwards, whenever I've been fortunate to spend time with him, are his kindness, generosity, and modesty—qualities which continually understate his truly monumental accomplishments. Just in the past year, Edwards won the Agatha, Edgar, and Macavity Awards in the U.S. and the H.R.F. Keating Award in the U.K. for The Golden Age of Murder: The Mystery of the Writers Who Invented the Modern Detective Story, but while this landmark book alone might be enough to earn that adjective "monumental" I used above, it's only part of Edwards' story. He's published a dozen and half novels, including two series set in Liverpool and the Lake District. 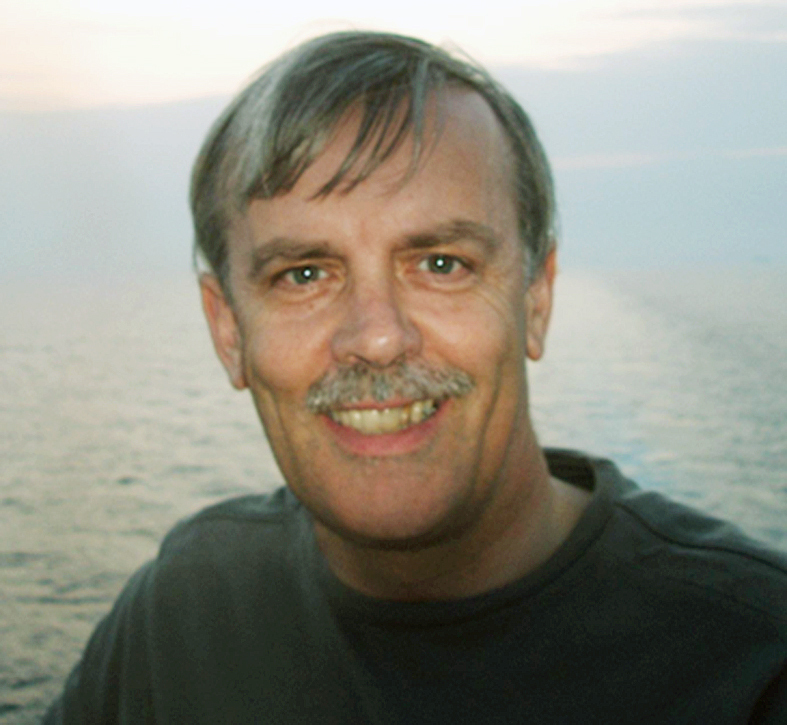 He's published more than 60 short stories, and he's been honored with both the CWA (Crime Writers' Association) Short Story Dagger and the CWA Margery Allingham Award for his short fiction. He's edited 30 anthologies (and counting! ), and he advises the British Library's Crime Classics series, republishing both novels and anthologies of classic stories (published in the US by Poisoned Pen Press). He's the president and archivist of the famed Detection Club, and he's the chair and archivist for the CWA as well. And he keeps up a lively blog on fiction, film, and more at "Do You Write Under Your Own Name?" Oh, and seems like he accomplished most of this in his spare time, since he's also had a long legal career. In two weeks, Malice Domestic will celebrate Edwards with this year's Poirot Award, honoring outstanding contributions to the mystery genre. I can hardly imagine anyone who deserves the award more. In advance of that, Edwards indulged me with a interview—while traveling and via iPhone!—a few quick questions touching on each area of his distinguished career. Art Taylor: At last year’s Malice Domestic, you won an Agatha Award for The Golden Age of Murder, and this year, you’re returning as the Poirot Award honoree, with that same book among the cornerstones of your contributions to the genre. Other than awards, what’s been a particularly memorable moment in the reception the book has received? 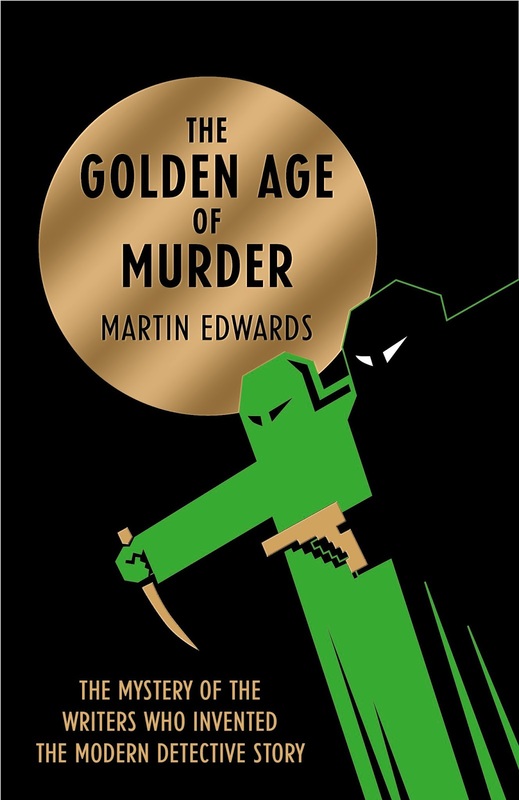 Martin Edwards: I worked on The Golden Age of Murder for many years, thinking few people would share my enthusiasm. Of all the many gratifying responses, I treasure the review in The Times by Marcel Berlins, one of our leading and most respected reviewers. Modesty forbids me to quote it here. But not to include it on my website! Is there more ahead in your work as a historian? Yes, this summer will see publication of The Story of Classic Crime in 100 Books, a companion to the British Library's amazingly successful series. It's a book I'm very proud of. How do you select books for the British Library's Crime Classics series, and has there been a title that you’ve been particularly proud to reintroduce into publication? I act as consultant to the British Library and make endless suggestions about books, but they make the decisions. 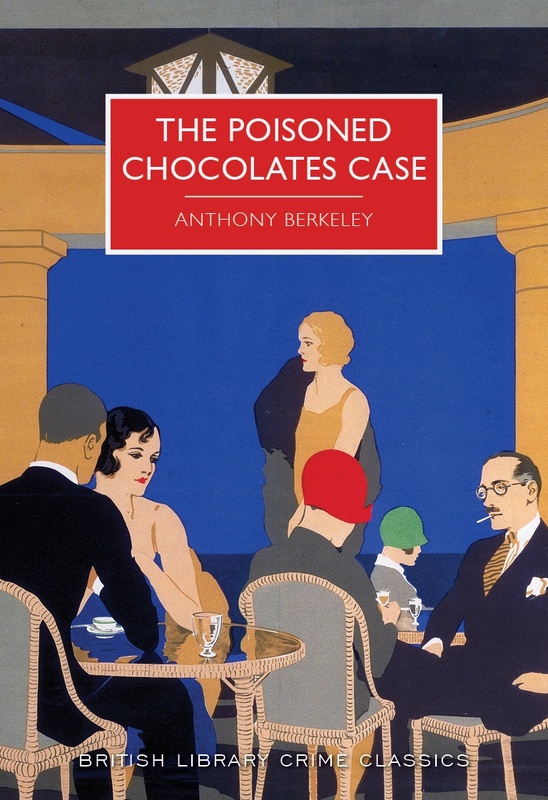 I'm very pleased about many of the reprints but writing a new solution to Anthony Berkeley's The Poisoned Chocolates Case was a particular joy. John Dickson Carr has said that short fiction is the natural form of the detective story. What special place does short story hold for you in the mystery genre? What do you value most in a short story—and what are your own goals and challenges in writing your own short fiction? Short stories are wonderful! Sherlock and Father Brown were at their best in the short form, and today it remains a great vehicle for a mystery (as you have shown, Art!). A great short story grips from start to finish with no wasted words or longeurs. I am working on a different kind of novel at present but after that it is back to the Lakes! I hope to continue to mix fiction and fact as a writer. I love both. As for time, well, life is short. I want to write as much as I can but most of all I want to write as well as I can. The awards have been hugely encouraging and the Poirot award is a great honour for which I'm truly grateful. I hope to repay that honour by writing the best books I can—and as a novelist I think the best may yet be to come. We'll see! I'll close out this post with a bit of news about my own work. 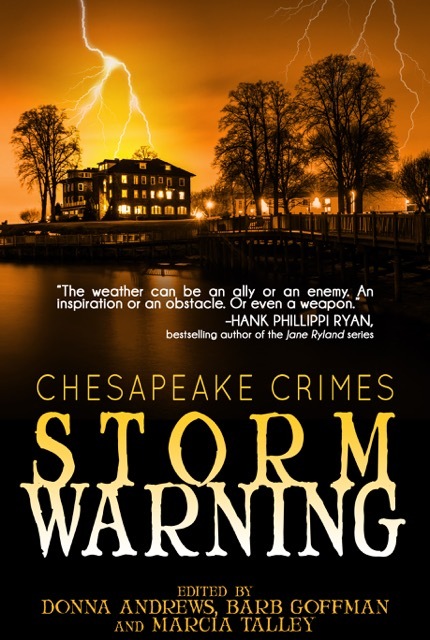 Last week, I learned that my story "Parallel Play" from Chesapake Crimes: Storm Warning, already a finalist for this year's Agatha Award alongside fine fiction by fellow SleuthSayers Barb Goffman and B.K. Stevens, has also been named a finalist for this year's Thriller Award for Best Short Story—and I'm in good company there too, with a slate that includes Eric Beetner, Laura Benedict, Brendan DuBois, and Joyce Carol Oates! The winner will be announced at ThrillerFest in New York in mid-July—and I'll be making my first appearance at that conference as well, keeping fingers crossed, of course, and toes too, let's be honest! In the more immediate future is Malice Domestic itself, April 28-30 in Bethesda, Maryland, and here's my schedule below for that weekend. Looking forward to seeing folks in Bethesda in just a couple of weeks! Congratulations, Martin, on all your honors, including the Poirot Award. I love the idea of writing stories using a book index and a book's acknowledgement section. Where can we find these stories? See you and Art at Malice in two weeks! And Art, congratulations again on your Thriller Award nomination. Donna, Marcia, and I are so happy for you. Golden Age of Murder is a terrific book. And thanks, Art, for catching us up on Martin Edwards. Always good to know the people behind the books. And congratulations to you and him and all the other SleuthSayers on your Awards noms! Thanks, Barb and Paul! Y'all are up earlier than me (or, um, later, I recognize). Appreciate the interest in Martin's fine work--one of my own favorite folks in the mystery community; I'm truly amazed at how much he accomplishes. Thanks too for the kind words on my own recent news. I'm in terrific company, as I said (hi again, Barb and Bonnie!) and with terrific support behind this specific story (another shout-out to Barb, one of the anthology's editors!) --feeling fortunate in so many ways. A good interview. Best of luck at ThrillerFest for Martin. Thanks for the note, Janice--and the good wishes, though it's actually my story, not Martin's, up for a Thriller Award. Sorry for confusion! Realized I didn't make the transition from interview to personal news very well, but hope that my addition to the subtitle will help. Appreciate you chiming in! Thanks for a fascinating interview, Art, and congratulations again on the ITW nomination! Congratulations and a great interview. Thanks, Bonnie and Eve! Glad you enjoyed the interview--and appreciate the congratulation too, of course! Congratulations Martin and Art… and Barb and Bonnie. Well done!